If you're not already underwater on your mortgage, there's a decent chance you will be. 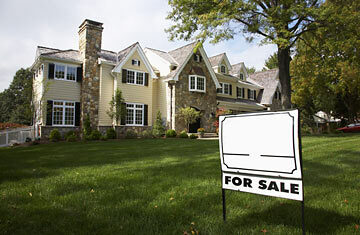 According to a new report from Deutsche Bank, up to 25 million American homeowners could eventually owe more than their house is worth. That would account for 48% of all mortgage holders. This isn't the first time we've heard exceptional numbers on upside-down borrowers. First American CoreLogic figures there were already 11 million homeowners in that position at the end of last year, and Moody's Economy.com estimates we had reached 15 million by the end of March. The Deutsche Bank projection assumes that house prices nationwide will drop an additional 14%. That forecast is starker than most, and if it doesn't come to pass, the problem of underwater borrowers won't be nearly as severe. The problem is already massive. When the value of a house is less than its mortgage, a homeowner can't sell and pay off his debt. If a house becomes unaffordable  because of job loss, say, or an adjusting mortgage interest rate  the homeowner is trapped. Underwater borrowers are more likely to default on their mortgages than those with positive equity. The Deutsche Bank report adds another wrinkle. So far, the highest rates of underwater borrowers have been found among those people with subprime, Alt-A and option-ARM loans. These loans, often sold to people with low credit scores or those stretching to afford a house, were largely peddled at the height of the boom and therefore often correspond to home prices that had nowhere to go but down. However, according to Deutsche Bank's projections, a second wave of upside borrowers is about to hit, and this time prime borrowers will account for the bulk. As of the end of March, the bank estimated that 16% of prime borrowers with conforming loans were underwater. By the end of March 2011, some 41% are projected to be. And about half of those are expected to owe at least 25% more than their house's value. The "good" news is that the worst of the problem is fairly concentrated geographically. Places where house prices have fallen the most have been hit the worst. That includes states that saw the wildest speculation and overbuilding  like California, Florida, Arizona and Nevada  and those that have been gutted the worst economically, such as Ohio and Michigan. But that doesn't mean there aren't grim pockets elsewhere. By the end of March 2011, Deutsche Bank projects, 65% of borrowers in the Chicago metro area, 71% of those in the Baltimore and Portland, Ore., areas, and 77% in greater New York City will be underwater. On paper, that might look a lot better than the 93% Deutsche Bank is expecting for Fort Lauderdale, Fla., and the 92% figure for El Centro, Calif. But to the people living in those houses, unable to move, the relative good fortune will likely be little consolation.